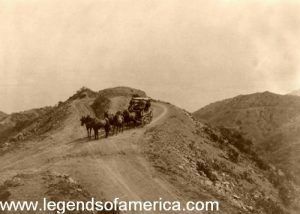 For a long time “Baldy Greene ” was the favorite stage-driver upon the overland route between Virginia City and Austin, Nevada. This remarkable specimen of a modern Jehu was a thoroughbred in every particular. He was called Baldy on account of his caput, which was singularly bare, and he rejoiced in the name. 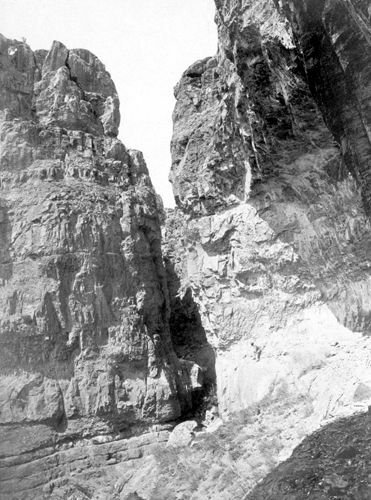 He once drove Ben Holladay from Virginia City to Austin, 185 miles, in nineteen hours. He let himself out some seventeen or eighteen years ago upon Mr. Colfax and party, and upon one occasion drove them forty-five miles in three hours and a half. As a judge of the ambrosial decoction known as punch, Baldy was a success. The son of Nimshi never found himself in greater ecstasies of glory than has Baldy upon a fine spring morning, with his six-horse team of grays, and a gang of good fellows to draw, and a start from Virginia City promptly on time. I was one of nine persons who took passage with Baldy Greene, in the month of May 1867, from Virginia City to Austin. We arrived at a place called Big Ned’s, seventy-five miles from Virginia, about three o’clock in the afternoon, almost an hour and a half ahead of time. I shall never forget Big Ned — poor fellow! He’s dead now; his own benzene was too much for him. Big Ned was postmaster, sheriff, restaurant-keeper, Indian trader, real estate dealer, lawyer, and justice of the peace. An hour before sunset, crack went the whip and away we rolled across the akali plains, and up into a deep cañon. The splendor of a mountain sunset in the very wilds of Nevada, says some delightful writer, is almost without comparison. The lingering sun floods all the west with fire, and hangs with golden fringe each passing cloud, and sheds a scarlet hue on all the varied outlines of mountain, hill, and butte. The gathering twilight, spreading her veil over the desert below, shuts from view all minor objects, and long before the expiring day is gone, one can only trace in the east the dark forms of its mountain outlines, and the darker gorges of the cañons beneath. Then follows the magnificence of a moonlight night in these corrugated hills and mountains, the effect of light and shade upon a clear, cloudless evening being incomparably beautiful. On the crests of the mountains, thousands of feet in the air, the dark tops of whose trees seem tangled in a braid of light, rolls a silver flood, while below all is inky night. At the bottom of the deep cañons the gurgling stream meanders its rocky bed ‘twixt mingled light and shade. The spectacle in the woods, where from tree to tree run girandoles of icicles — sparkling gems of winter’s casket — beggars description. Their branches look like the arms of a constellated luster, and by moonlight transmit a wilderness of dancing colors from the faucets of their prisms. Every shadow seems sentient, reaching out as if with instinct to touch the margin of the moonlight’s silver line. There is something impressive in the silence of the night. All nature sinks to rest the moon, madonna of her sweet repose, sails off the coast of night, and all is still save when the wood, swayed by the timid breeze, seems whispering back in plaintive answer to the bubbling stream. I shall never forget the beautiful sunset upon this particular evening. In the dim distance were the grand old Sierra Nevada mountains, lifting their imperishable snow-capped heads to the kissing heavens, which were brilliantly beaming through dissolving clusters of kaleidoscopic clouds. The great orb was just dipping behind their summits, upon which the glittering objects of ice and snow seemed like silver fantoccini. The thin, gauzy clouds assumed the most exquisite changes of shapes and colors. First, they looked like a vast arc of liquid fire and then broke into ragged and fantastic transformations with thrice the colors of the rainbow. The slanting rays of the great planet streaked everything with the glitter of gold; fragmentary sections of fleecy clouds darted off in a thousand infinitesimal directions, diffused with misty blue, and purple-edged and floated off into the thin darkness which was spreading its network of night. The picture below was not without its effect. Seemingly at the base of the detached ranges, and dotting the landscape wherever the eye might wander, were the sinks of the Carson and the Humboldt, looking like miniature lakes of burnished silver as they twinkled in the rays of the parting sun. I have often been struck with the strange and unexpected characters to be met with while traveling over these long stage routes upon the Pacific Coast. At a well-known station, called Big Meadows, at which place we arrived about ten o’clock, I encountered one of the pleasantest adventures of my life. Anxious to stretch my legs, and enjoy a near approach to a sparkling fire which sent its light through the chinks of the cabin, inviting the weary traveler to its comforting influence, I entered the premises and seated myself upon a stool near the hearth. Glancing at the interior, I discovered a table near, covered well with books. Opening one, I found Caesar’s Commentaries. Surprised to find such a book in such a place, so far removed from academic shades, I hastily turned to the flyleaf, and found there, in a neat running hand, the name of the owner. Looking further at the collection, I discovered the works of the immortal Shakespeare, the Life of Franklin, Milton’s Paradise Lost, and a copy of Tom Moore; and last, but first in importance, a Bible!